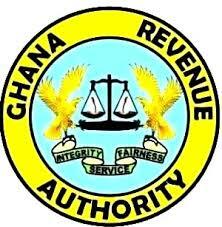 The Ghana Revenue Authority (GRA) is working to review Ghana’s tax exemption laws to address revenue losses. The concern is that wholesale exemptions have resulted in exploitation of the country, where some beneficiaries evade taxes completely. The Commissioner in charge of the domestic tax revenue division, Kwasi Gyimah Asante, said the review will also help the government meet its revenue targets. Mr. Gyimah Asante was speaking at a media sensitization event on the implementation of the new tax reforms in the midyear budget review. “We need to look at the exemptions that are granted and then review them to ensure that the volume of exemptions that are granted are brought to the barest minimum,” he told Citi News. The mid-year budget review revealed Ghana was short of its fiscal deficit target of 4.5 percent of GDP. Finance Minister, Ken Ofori-Atta, also noted that experts have been contracted to work with the GRA to conduct forensic audits of companies in priority sectors and undertake audits of multinational enterprises. The move according to him is aimed at reshaping transactions that result in the nation losing huge monies from multinational companies.